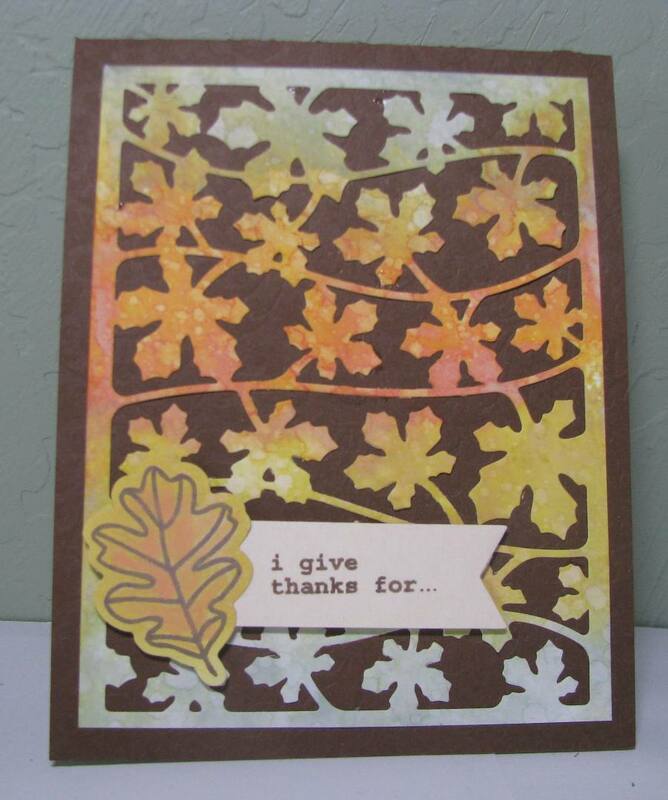 Dies: Leaves a Fallin' panel (Spellbinders), fishtail banner (My Favorite Things), leaf (Technique Tuesday-I give thanks stamp & dies). Paper: ivory, brown cardstock. White cardstock for the Distress Oxide panel. Inks: Fossilized Amber, Bundled Sage, Carved Pumpkin (Tim Holtz Distress Oxides), Memento Rich Cocoa (sentiment). Make sure to enter for a chance at the $10 Dies R Us gift voucher! That's a pretty cool die and great Fall colors. Great card and I like the sentiment, it leaves it wide open for your message inside. Wonderful idea and execution.